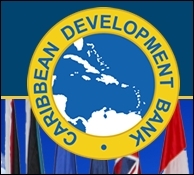 BRIDGETOWN, Barbados – The Board of Directors of the Caribbean Development Bank (CDB) has approved a USD9.3 million (mn) loan to the Government of Anguilla, to implement a reform programme that aims to restore fiscal sustainability and enhance resilience against natural disasters. Anguilla is highly vulnerable to natural disasters, and since 1995, the island has been affected by eight named hurricanes. Following the passage of Hurricane Irma in 2017, Anguilla suffered damage and losses that were estimated at approximately 97 percent of GDP. The country is also heavily reliant on tourism, and the effects from Hurricane Irma have led to the closure of hotels and restaurants, causing significant unemployment and income losses.